Someone who searched for “where can i buy pappardelle pasta in philadelphia” visited my blog. 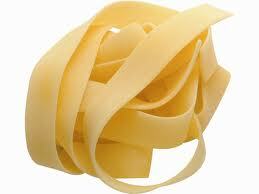 Another Tweeter mentioned Whole Foods in Plymouth Meeting cuts their own pasta, too. I’ll update more places as I get ’em, or here’s a Google search for fresh pasta in Philadelphia. Comments welcome, too!